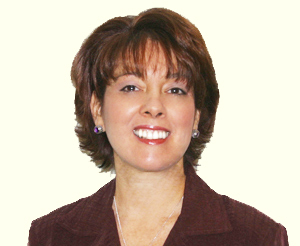 Irene R. Siegel, Ph.D. is a psychotherapist in private practice since 1980. She has been co-director of Center Point, an integrated health and counseling center, since 2002. She provides individual, couple and group counseling integrating traditional psychodynamic theory with the more esoteric healing arts, creating a transpersonal approach to psychotherapy. Her goal is to take the client beyond symptom reduction to the achievement of exceptional health on an emotional, physical, and spiritual level. She conducts weekly Native American Shamanic Medicine Wheel groups, leading to deep personal growth and transformation. Dr. Siegel received her doctorate degree in Transpersonal Psychology from The Institute of Transpersonal Psychology (now Sofia University). She received her masters degree in Social Work from Columbia University, completed advanced clinical training in Psychoanalytic Psychotherapy through the Long Island Institute for Mental Health, and has studied ancient healing arts and Light Body Technology, throughout North and South America. She has an extensive background in the mental health field, working for the New York State Mental Health system for 15 years as a clinician and a clinical supervisor. Since 1986 she has been lecturing, doing workshops, and teaching for groups and hospitals. She is the author of Eyes of the Jaguar, which is about her first journey to South America working with Peruvian healers, and the creator of the Labyrinth Series, a set of 16 guided meditations for personal growth and healing. Her upcoming book, The Sacred Path of the Therapist: Modern Healing, Ancient Wisdom, and Client Transformation is due to be released by W. W. Norton & Co.
Dr. Siegel has been trained in the technique of EMDR (Eye Movement Desensitization and Reprocessing) and has successfully integrated this into her practice with a transpersonal spiritual approach. She has been a presenter at the 2000, 2001, 2012, 2013, 2014, 2015, and 2016 EMDRIA Conferences. She specializes in integrating western psychology with the healing practices and philosophies of eastern and native cultures. She had completed her own research study as a doctoral requirement in 2011 entitled: Exploring the Therapist as a Container for Spiritual Resonance and the Observed Impact on Client Transformation: A Heuristic Study. This exploratory study revealed a nonlinear approach to psychotherapy where healing and consciousness unfold within the silent spaces of client processing. This study can be retrieved online from Proquest. Siegel, I. R. (2013). Therapist as a container for spiritual resonance and client transformation within transpersonal psychotherapy: An exploratory heuristic study. Journal of Transpersonal Psychology, 45(1), 49-74.